I still have four weeks and two days until I leave my current job. It’s going so slowly it’s virtually painful! My new manager sent me a picture message yesterday. I was walking home when I got it and grinned the whole rest of the way skipping songs on Spotify that weren’t stupid cheery indie anthems that reflected my mood. He messaged to say he’d bought me a notebook for when I start and showed me. 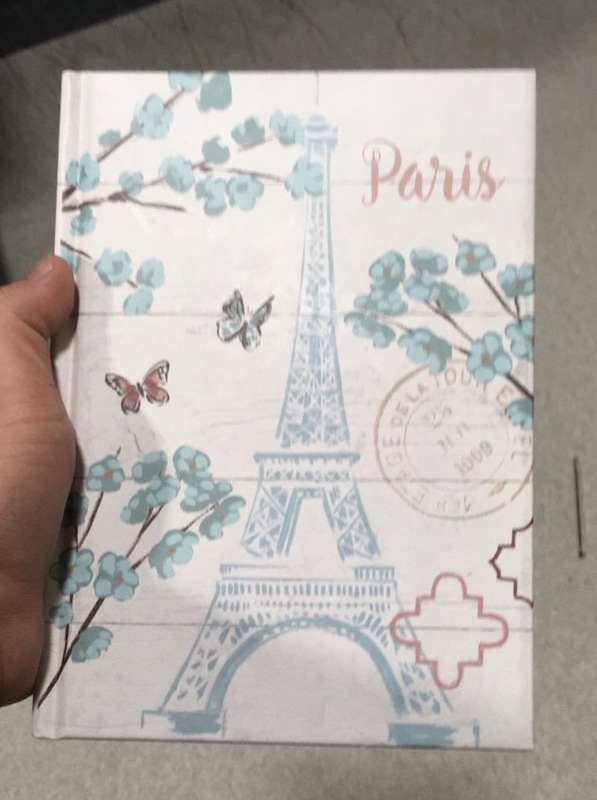 It’s got a picture of Paris on the front- where I was when I first found out about the job. It’s a little thing but it’s really thoughtful. Been wondering if I should sign these off somehow, and trying to figure out how to put photos in posts if that’s possible. I’ll figure out both of those soon, promise! Edit- figured out the photo thing! Here you go!